Is the CHTN a bank? The CHTN is not a bank and therefore does not have a catalog of biospecimens. The CHTN is a prospective collection service. However, some biospecimens are banked for a limited time. Banked biospecimens that meet an investigator's request will be made available. At this time, the CHTN does not charge an application fee. The CHTN only charges a nominal processing fee for its services and specimens. The NCI’s grant support for the CHTN allows us to offer a reduced rate for investigators affiliated with academic, government, and non-commercial entities. Please click here for our current processing fees. Am I financially obligated to accept the tissue? Yes, all active CHTN investigators with open/active requests are responsible for all fees associated with any biospecimens procured for them until the request is inactivated by the investigator. This includes biospecimens that are refused without appropriate justification, especially biospecimens specifically collected to fill individual request protocols. Because the CHTN is a prospective procurement program, resources are allocated for the collection of biospecimens requested by investigators. Therefore, the CHTN expects investigators to accept the biospecimens that were collected on their behalf to fulfill their active protocols. Failure to accept procured samples may result in penalties to the principal investigator or his/her institution, including but not limited to, loss of access to future services from the CHTN. Does the CHTN accept credit cards? Yes, the CHTN accepts credit card payments, PO numbers and checks. What information comes with the sample? Information is based on the type of biospecimen provided. Standard information for all biospecimens includes the age, race and gender of the patient as well as the quality control diagnosis of the tissue. Also included with the samples are copies of the corresponding pathology reports from which all identifying information has been removed. Copies of these reports are sent along with the biospecimens with the exception of specimens shipped on the same day of collection. The reports for these biospecimens will be provided once they are available. The mission of the CHTN is to provide basic biospecimens for research; this does not include routine clinical history or follow-up information. Investigators may, however, request biospecimens from cases that meet certain criteria, if those criteria are specified BEFORE the biospecimens are collected. Requested clinical history or follow up information that is available will be provided for an additional cost only when the privacy and the confidentiality of the patient are guaranteed. Does the CHTN provide cells or cell cultures? No, the CHTN does not provide cells, cell separation, or cell culture services. However, the CHTN is able to provide fresh viable tissue specimens suitable for these applications. If you are requesting cells or cell cultures, please consider contacting the American Type Culture Collection (ATCC) or the NCI Specimen Resource Locator. Does the CHTN provide blood or blood products? The CHTN has access to remnant blood from the clinical laboratories, and there are several CHTN divisions that have access to consented patient populations in which blood/blood products can be obtained specifically for research purposes. There may be limitations on the volume a division can supply based on the need for patient diagnosis or IRB restrictions, which may limit the number of milliliters obtained for research. The CHTN Coordinator responsible for your geographic location will answer questions regarding availability and specifics regarding the collection and processing. If an investigator requires large amounts (i.e. 10 ml) of blood or blood products, the investigator can find more information about the availability of these samples from the NCI Specimen Resource Locator. Does the CHTN provide tissue microarrays? The CHTN has a range of tissue microarray (TMA) slides available, which include surveys of normal tissues and several common cancers. These arrays are suitable as preliminary screening tools or to supplement other findings. Detailed clinical annotation, treatment and outcome are not provided. Our available TMA designs change based on feedback we receive from researchers, but the CHTN does not custom fabricate TMA blocks for individual projects. Please visit the CHTN TMA web site for more information. Does the CHTN provide tissue to commercial companies? Peer-review funded investigators at academic or non-profit institutions, requests associated with peer-review funded projects at commercial and for-profit companies, investigators at federal & national laboratories. Developmental and new investigators at academic centers or non-profit research institutions. Other investigators including those who are associated with for-profit research institutions. Discretion will be used by the various divisions to determine when to deviate from the above outlined priority system. If an investigator wishes to appeal his/her priority, that investigator can write a letter to the Coordinating Committee or the NCI Program Director. Internal investigators at all contributing institutions should retain the highest priority. How many samples will I get? How large are the samples? How long does it take the CHTN to serve a request? Because we operate as a prospective service, the answers to these questions vary with each request. Investigators are asked to provide us with a minimum to maximum size that they can use. For cancers, the amount of tissue available varies by the anatomic site and diagnosis. Many cancers are resected at an early stage and will have very little tissue available. A reasonable amount to request for a breast or pancreatic cancer is 150-250 mg. Bulky tumors such as ovary or colon cancers may yield more tissue than this. Banked fluids are typically stored in aliquots of 1ml for whole blood or urine and .25 to 0.5 ml for plasma or serum. The smaller the sample size that you can accept, the more samples will be available. Requests for larger samples are harder to fulfill because the CHTN will fill requests for smaller samples first in order to serve as many investigators as possible. You may specify a specific number of samples you would like, or you may have an open-ended request. The length of time it takes to serve a request is impossible to estimate. It will depend upon the requirements of your protocol, the availability of the samples requested, and the number of investigators requesting the same tissue type. Do you provide fetal tissue? The CHTN does NOT provide fetal tissue (including tissue from fetal autopsies) to investigators because of concerns about differences in individual state laws and concerns about potential use for stem cell research. Where do you get your tissue? The five adult-specimen institutions that comprise the CHTN divisions are The University of Pennsylvania, The University of Virginia, the University of Alabama at Birmingham, Vanderbilt University Medical Center, and The Ohio State University. The CHTN has one division that specializes in the procurement and distribution of pediatric tissues, Nationwide Children's Hospital in Columbus, Ohio. Each of the divisions has arrangements with their institutional hospitals, local hospitals and other subcontract hospitals to collect biospecimens. Can I specify the percentage of tumor in a specimen? No, an investigator cannot specify the percentage of tumor in a specimen, but the CHTN guarantees at least 10% tumor in a tumor specimen. A specimen can be enriched by macrodissection for an additional charge. Please contact your primary division to discuss this service in further detail. Are specimens screened or tested prior to distribution? No, the CHTN does not perform clinical tests on tissue (e.g. for the presence of infective agents such as hepatitis). While the CHTN attempts to avoid providing tissues that are contaminated with highly infectious agents such as hepatitis and HIV, all tissues should be handled as if potentially infectious. Recipients must also agree not to perform such tests on the tissues supplied by the CHTN. If an institution tests samples or byproducts for infectious diseases, the CHTN does not accept any information regarding the results of these tests. What does "Authorized Signature" on the Data Use Agreement mean? An authorized signature is the signature from someone other than the applying PI who is responsible for the applying investigator and his/her research. For academic investigators, an official from your Office of Research or Technology Transfer Office is acceptable. For commercial investigators, the CEO or representative from your legal department is acceptable. Will all of the CHTN divisions try to meet my requests? Your primary division will review your request(s) and determine whether it can be served locally. If not, your request(s) will be shared with the other divisions (networked). If your request is networked, a CHTN divisional representative will contact you when samples become available to arrange shipping from that division. How do I reference or acknowledge the CHTN if I publish results utilizing the specimens I receive?  Tissue samples were provided by the NCI Cooperative Human Tissue Network (CHTN). Other investigators may have received specimens from the same tissue specimens. Can the CHTN provide staging information? The CHTN provides the T, N and M (where applicable) categories staging, according to American Joint Commission on Cancer (AJCC) criteria. Clinical staging requires clinical information that is generally not available to the CHTN when biosamples are procured. To provide clinical staging information associated with biosamples, investigators will be charged a chart review to obtain this data.